Stump Grinding | AP Trees (Kent) Ltd.
You might be wondering why you should consider removing a tree stump? There are a couple of reasons why removing an old stump is beneficial for your garden. The most obvious reason is aesthetics. An unsightly stump can detract from the beauty of your garden, so having it removed will enhance the landscape. Here at AP Trees, we are able to remove any stump for you. Quite often the most affordable option is to have the stumps removed when the trees are felled to save a second visit. 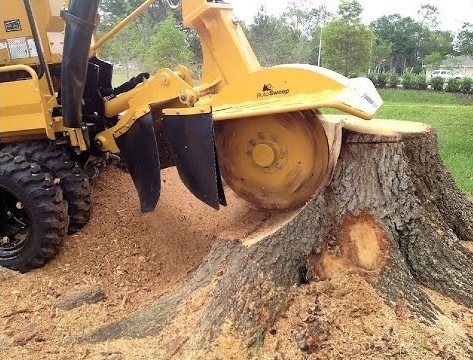 The removal of stumps can be either by hand for small stumps or by a mixture of different sized stump grinders for narrow access and large stump removal.